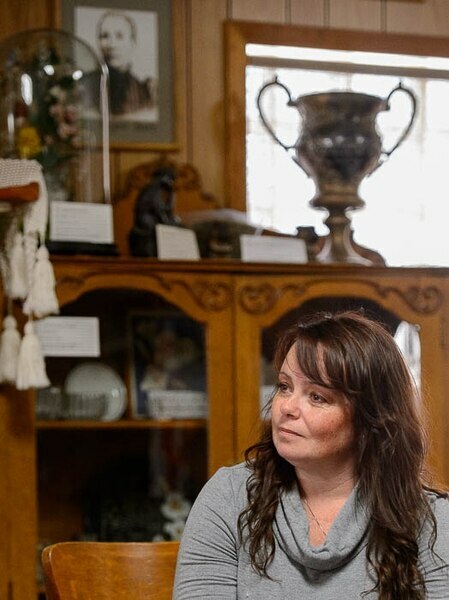 (Trent Nelson | The Salt Lake Tribune) Celeste Gates at the Daughters Of Utah Pioneers Coalville Camp in Coalville, Friday ... (Trent Nelson | The Salt Lake Tribune) Celeste Gates at the Daughters Of Utah Pioneers Coalville Camp in Coalville, Friday ... (Trent Nelson | The Salt Lake Tribune) Jim Blonquist at the Summit Mercantile (locally referred to as the Merc) in Coalvill... (Trent Nelson | The Salt Lake Tribune) The Summit Mercantile (locally referred to as the Merc) in Coalville, Friday March 2... (Trent Nelson | The Salt Lake Tribune) Rob Holt at Collie's Sports Bar and Grill in Coalville, Friday March 2, 2018. (Trent Nelson | The Salt Lake Tribune) The Summit Mercantile (locally referred to as the Merc) in Coalville, Friday March 2... (Trent Nelson | The Salt Lake Tribune) The Summit Mercantile (locally referred to as the Merc) in Coalville, Friday March 2... (Trent Nelson | The Salt Lake Tribune) Coalville, Friday March 2, 2018. 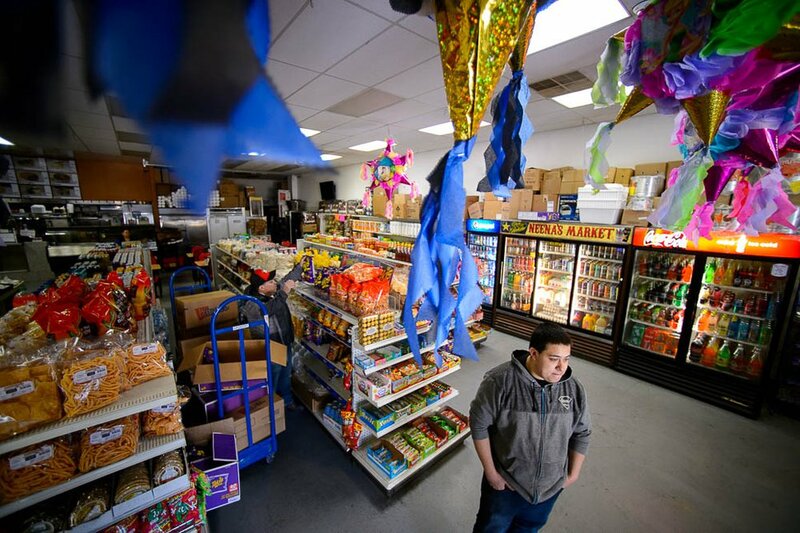 (Trent Nelson | The Salt Lake Tribune) Jose Ponce at Neena's Market in Coalville, Friday March 2, 2018. (Trent Nelson | The Salt Lake Tribune) Open space west of Coalville, Friday March 2, 2018. (Trent Nelson | The Salt Lake Tribune) The bulletin board at the Summit Mercantile (locally referred to as the Merc) in Coa... (Trent Nelson | The Salt Lake Tribune) Coalville, Friday March 2, 2018. (Trent Nelson | The Salt Lake Tribune) Open space west of Coalville, Friday March 2, 2018. (Trent Nelson | The Salt Lake Tribune) Open space where development is planned in Coalville, Friday March 2, 2018. (Trent Nelson | The Salt Lake Tribune) Excavators at the site of a new development in Coalville, Friday March 2, 2018. (Trent Nelson | The Salt Lake Tribune) Celeste Gates at the Daughters Of Utah Pioneers Coalville Camp in Coalville, Friday March 2, 2018. (Trent Nelson | The Salt Lake Tribune) Celeste Gates at the Daughters Of Utah Pioneers Coalville Camp in Coalville, Friday March 2, 2018. (Trent Nelson | The Salt Lake Tribune) Jim Blonquist at the Summit Mercantile (locally referred to as the Merc) in Coalville, Friday March 2, 2018. (Trent Nelson | The Salt Lake Tribune) The Summit Mercantile (locally referred to as the Merc) in Coalville, Friday March 2, 2018. (Trent Nelson | The Salt Lake Tribune) Rob Holt at Collie's Sports Bar and Grill in Coalville, Friday March 2, 2018. (Trent Nelson | The Salt Lake Tribune) The Summit Mercantile (locally referred to as the Merc) in Coalville, Friday March 2, 2018. (Trent Nelson | The Salt Lake Tribune) The Summit Mercantile (locally referred to as the Merc) in Coalville, Friday March 2, 2018. (Trent Nelson | The Salt Lake Tribune) Coalville, Friday March 2, 2018. (Trent Nelson | The Salt Lake Tribune) Jose Ponce at Neena's Market in Coalville, Friday March 2, 2018. (Trent Nelson | The Salt Lake Tribune) Open space west of Coalville, Friday March 2, 2018. (Trent Nelson | The Salt Lake Tribune) The bulletin board at the Summit Mercantile (locally referred to as the Merc) in Coalville, Friday March 2, 2018. (Trent Nelson | The Salt Lake Tribune) Coalville, Friday March 2, 2018. 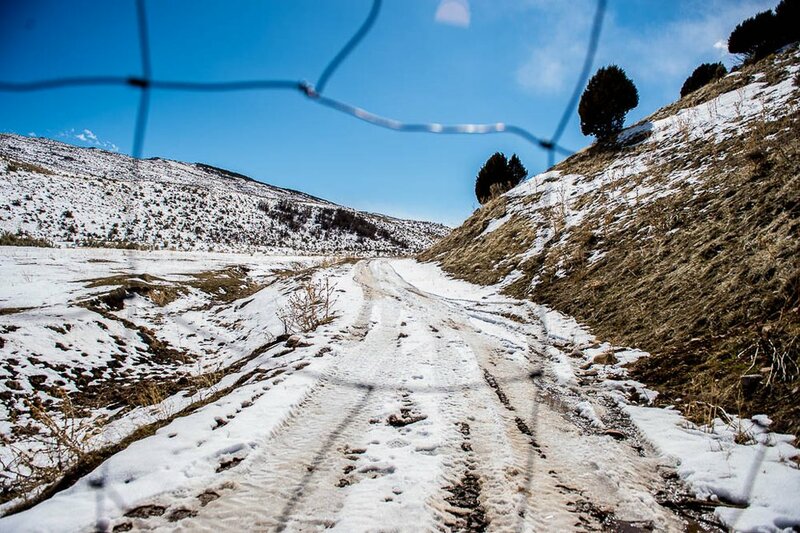 (Trent Nelson | The Salt Lake Tribune) Open space west of Coalville, Friday March 2, 2018. (Trent Nelson | The Salt Lake Tribune) Open space where development is planned in Coalville, Friday March 2, 2018. (Trent Nelson | The Salt Lake Tribune) Excavators at the site of a new development in Coalville, Friday March 2, 2018. Coalville • Coalville is the kind of small town where most residents can tell who’s downtown just by looking at the parked cars. A mercantile on Main Street has been selling hardware and clothes out of the same building for more than a century. The biggest event of the year is the county fair — and people don’t just love the demolition derby, they love being people who love the demolition derby. But developers have turned their eyes toward this passionately rural town of 1,500 people. For years, Summit County has exploded around Coalville, which has barely grown. Now city officials are reviewing plans for hundreds of new homes. As city officials weigh a request to annex a massive swath of land for 500 luxury homes and a golf course, residents are asking whether the change is too much for a town that doesn’t even have a stoplight. It’s a recurring Utah boomtown conundrum: How does a city keep its local character through fast growth? The tension feels particularly extreme in Coalville, where residents for years have proudly contrasted their quiet, working-class town against the proliferation of mansions and high-end amenities sprawling out of Park City. But homes are gradually popping up over long-held family farms. A new state park is being launched at nearby Echo Reservoir, which could raise Coalville’s profile as a vacation spot. There’s wide acknowledgment that the town will inevitably grow and change, but residents disagree how much and how fast it should. As the debate heats up — the City Council will hear public comment on the proposed annexation Monday — some worry that it could pit the “old-timers” and the “move-ins” against each other in a feud that Coalville so far has managed to sidestep. 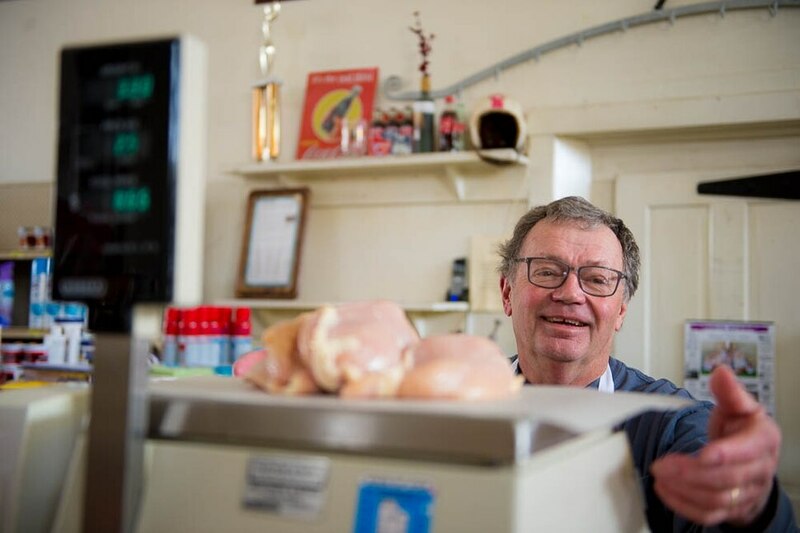 (Trent Nelson | The Salt Lake Tribune) Jim Blonquist at the Summit Mercantile (locally referred to as the Merc) in Coalville, Friday March 2, 2018. At the Summit Mercantile (“the Merc”), hand-drawn flyers for the fourth-grade play flutter on a bulletin board, a robust supply of Carhartt work clothes spills over the shelves, and the mood is decidedly against the golf course complex. Wohali Partners LLC has petitioned the city to annex 1,500 acres in the undeveloped hills west of town for the development. The company hasn’t responded to requests for comment from The Salt Lake Tribune. But City Attorney Sheldon Smith said Wohali’s managers have compared the project to the Promontory luxury community near Park City, with 500 multimillion-dollar vacation homes — a potential boon to Coalville’s property tax base but a stark contrast in a town whose per-capita income is less than half that in the rest of Summit County. The wealth associated with the proposal has given opponents a sense of being underdogs — and a suspicion that developers will see the small town as too unsophisticated to manage growth thoughtfully. There are fears that the Wohali development could be what opens “Pandora’s box” to sprawl, said Eric Blonquist, a distant relative of Jim. He has worked construction in Summit County for nearly three decades with a firm in Coalville, and he can recall when residents in Park City’s Old Town began to panic over skyrocketing property taxes, and when Snyderville, now covered in subdivisions, was only meadows and farms. He recently spotted a sign seeking donations to “Save The Last Farm,” the Osguthorpe farm, on Snyderville’s Old Ranch Road. Several of the farms in Coalville go back to the town’s founding Mormon pioneers, who occasionally get name-dropped by opponents of the development. Some residents worry that the town’s heritage farms and ranches will be the next to go if developers see the golf complex and realize Coalville is open for business. “Those people would absolutely roll over in their graves if their country got subdivided,” said Eric Blonquist. Celeste Gates’ great-great-great-grandparents settled here in 1860. In the Daughters of Utah Pioneers museum, which she operates, a frame holds flowers made from her ancestors’ hair. She moved to Coalville from Draper about 20 years ago and is vice president of the county’s historical society. “I wanted my kids to be in small schools, in a small community,” she said. Local institutions like the Merc and the Polar King drive-in restaurant are vociferously defended against any hopeful speculation that Coalville might one day be less than 20 miles from a Target store or a Burger King. (Trent Nelson | The Salt Lake Tribune) Jose Ponce at Neena's Market in Coalville, Friday March 2, 2018. Even if the annexation doesn’t go through, McFarland said, the city is bracing for Coalville’s likely transition as it becomes better known for tourism and recreation. But not all residents oppose growth, even at the scale of Wohali’s proposal. Holt and Ponce said the small-town vibe is essential to Coalville’s appeal — “Everybody knows everyone’s name,” Holt said. “Every person I drive past, we say, ‘Hey’” — and both acknowledged a population boom could change that. The Wohali golf complex is not the only development pending here. One builder already has begun digging along the north side of Chalk Creek, where up to 40 houses are planned. The City Council last week approved rezoning for a similar proposal on the south side of the creek. Another developer has submitted plans for 16 houses near Echo Reservoir, north of downtown, at the site of a former mink ranch. But inaction could mean missing a “golden opportunity” for improved schools and infrastructure, she said, and she worries it comes from fear. “I’m the only one on the council who’s neither married to someone from here nor from here,” Anson said. “I’m not related to anyone here. But I feel OK, like there’s a silent majority that wants a lot of the things I want. You can’t say it because obviously it gets a lot of animosity. (Trent Nelson | The Salt Lake Tribune) Open space west of Coalville, Friday March 2, 2018. For many residents, water is a key question, especially for a development built around a golf course. Coalville recently upgraded its sewer system and is in the process of improving its water system to accommodate a city population of 2,246 people — and the proposed developments would max that out. But finding solutions will largely be the developers’ responsibility, McFarland said. The elevation of the proposed golf course complex may be impossible for Coalville’s water system to serve, and the builder may have to turn to the Weber Basin for water. Even then, McFarland said, the construction would face restrictions to protect the city’s water source, a spring fed by the canyon where the development would be sited. Planners haven’t been able to review water issues raised by the development because Wohali hasn’t prepared detailed plans while the site is not annexed. That uncertainty argues for annexing the site, said Coalville City Councilman Tyler Rowser. Some residents also have worried about the ecological impacts of the project. 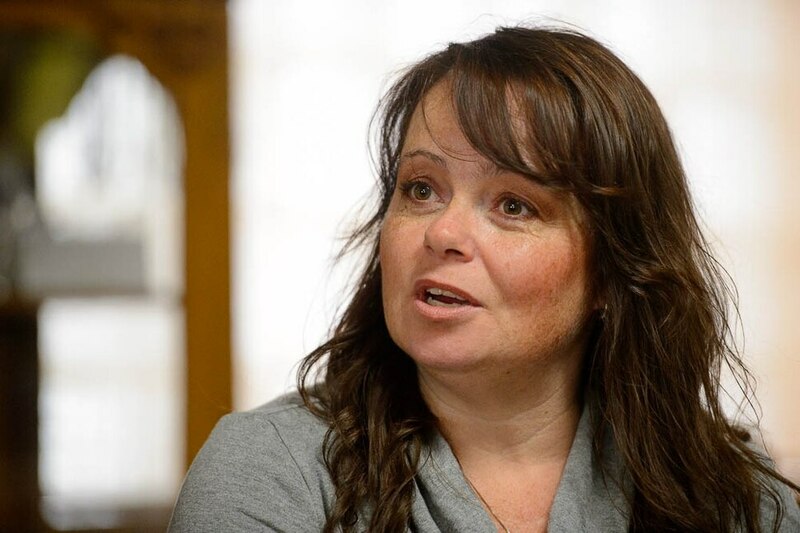 Linzee Vernon Pritchard’s family owns rangeland adjacent to the proposed annexation and has hiked, hunted and searched for shed antlers there and, with permission, inside the proposed site. Jayce Richins, a hunter who grew up in Coalville and now lives in nearby Henefer, said the comparisons to Promontory near Park City make him skeptical. The Coalville City Council will hear public comment on the proposed annexation of 1,500 acres west of town on Monday night at North Summit High School. The council meeting begins at 6 p.m. and the public hearing is at 7 p.m.